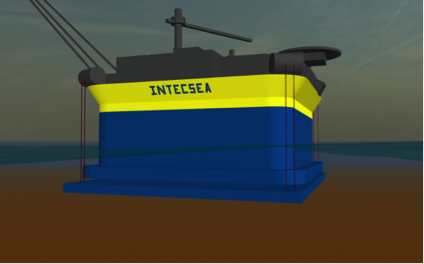 INTECSEA’s state-of-the-art Low Motion (LM) technology has been developed to improve motion response of conventional floaters, resulting in significantly reduced field development CAPEX and OPEX, and improved safety and habitability. As oil and gas market conditions continue to be challenging, it becomes paramount to reduce overall offshore field development costs to enable establishing business cases for offshore field development projects. Capital Expense (CAPEX) is the major contributor for operators to successfully pass the Final Investment Decision (FID) stage in field development projects. Operational Expenditure (OPEX) is another key contributor when establishing a business case. Therefore, reductions in overall development costs should focus on both CAPEX and OPEX, while at the same time maintaining safety as the ultimate priority. The LM technology is a robust and low-tech solution made up of field-proven components that have been in service for more than twenty years. 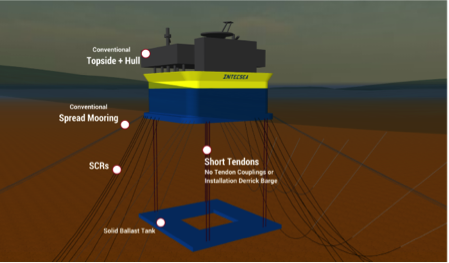 The LM technology as shown in Figure 1 consists of a Solid Ballast Tank (SBT) that is attached to the floater hull though groups of short tendons. The SBT contains dedicated compartments for high density material (concrete, slurry or Iron Ore) to provide in-water weight and maintain tendons in tension for all design conditions. The remaining SBT volume is completely flooded with seawater at its in-place condition. The LM technology maintains the quayside integration method. During the pre-service conditions, the SBT is in a retracted position relative to the hull and maintained in this position through its buoyancy force. 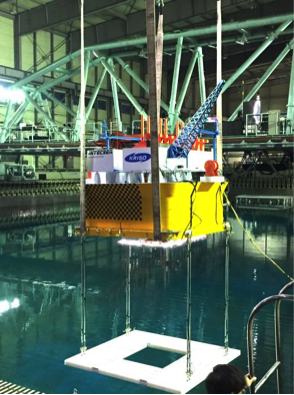 Once the platform reaches its in-place position, the SBT is flooded and lowered using two of the mooring chains at each corner, which are temporarily used for this purpose. The tendons are then upended and installed. No coupling or installation derrick barge is required for the tendon installation. The rectangular-shaped hull enables easy layout of the topside facilities with proper separation between process and living quarters. It also allows large displacement, if needed, for easy hull fabrication and placement of cargo tanks. The LM Technology can equally be applied with a box-shaped hull of generally rectangular cross section in FLNG applications, termed LM-FLNG, resulting in improve safety, operability, habitability and economics for FLNG projects. A conventional semisubmersible hull with four columns and a ring pontoon can also utilize LM technology, termed LM-Semi, to become a suitable host for dry-tree and TTR applications in deep and ultra-deepwater fields in harsh environments. Offers significant CAPEX and OPEX savings. 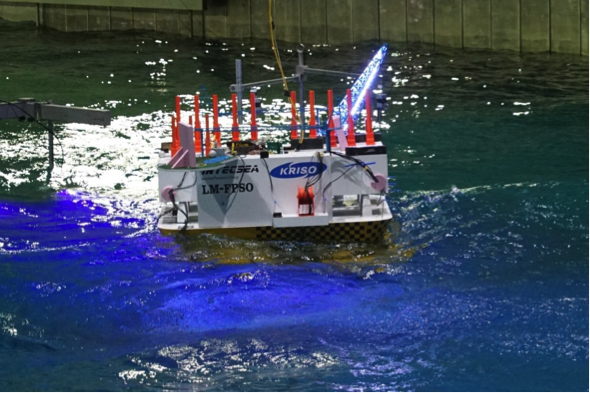 The superior performance of the LM-FPSO has been confirmed by a five-week comprehensive model testing program performed in collaboration with Korea Research Institute for Ships and Ocean Engineering (KRISO) at their offshore basin in Daejeon in November 2016, (Figure 2). 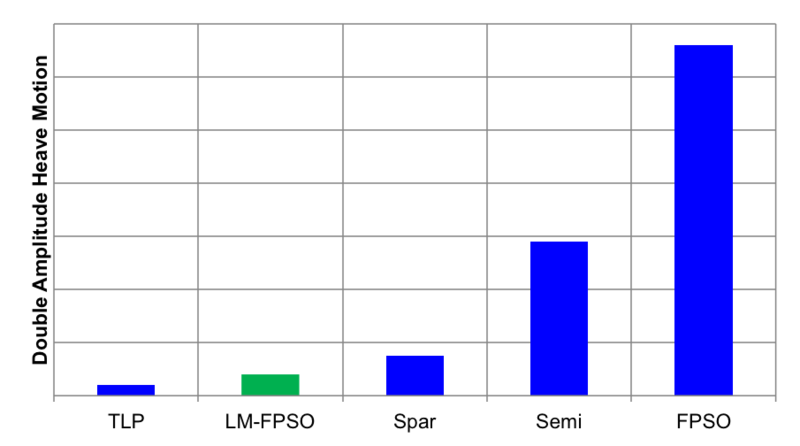 The motion response of the LM-FPSO was found to be comparable to a TLP’s and better than a Spar’s motion (Figure 3).